Martin Shkreli, the eccentric former pharmaceutical CEO notorious for a price-gouging scandal and for his snide "Pharma Bro" persona on social media, was convicted Friday on federal charges he deceived investors in a pair of failed hedge funds. Shkreli, 34, told "lies upon lies," including claiming he had $40 million in one of his funds at a time when it only had about $300 in the bank, Assistant U.S. Attorney Alixandra Smith said in closing arguments. The trial "has exposed Martin Shkreli for who he really is — a con man who stole millions," added another prosecutor, Jacquelyn Kasulis. 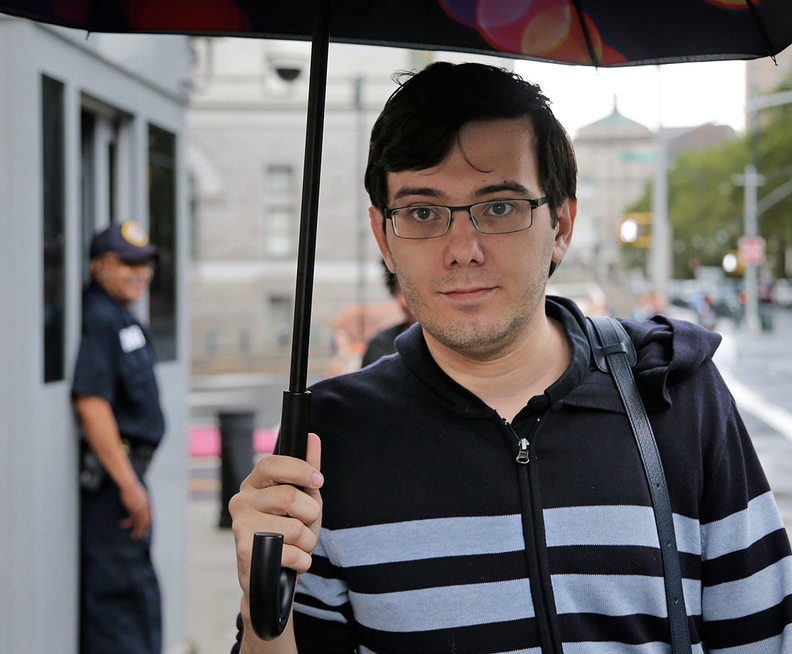 "I don't think it mattered to him — it was just what he thought he could get away with," said Richard Kocher, a New Jersey construction company owner who invested $200,000 with Shkreli in 2012. "It was insulting."